A Supreme Court Bench comprising of Justice V. Gopala Gowda and Justice R. Banumathi, while ordering payment of back wages to a worker who was wrongfully terminated, relied on the judgment in the case of Olga Tellis and Ors. v. Bombay Municipal Corporation and Ors.. The Court observed, "The respondent and his family members have been suffering for more than four decades as the source of their livelihood has been arbitrarily deprived by the appellant. Thereby, the Right to Liberty and Livelihood guaranteed under Articles 19 and 21 of the Constitution of India have been denied to the respondent by the appellant." The appeal was filed against a judgment passed by the Allahabad High Court, whereby the High Court had upheld and modified the Award passed by the Industrial Tribunal. The respondent, Mr. Charan Singh had challenged his termination from the post of a temporary Tube-well Operator. He had contended that he was terminated wrongfully as he is a permanent employee of the Fisheries Department and the provisions under Section 6-N of the Uttar Pradesh Industrial Disputes Act, 1947 (hereinafter referred to as "the Act"), which are mandatory in nature, have not been complied with. The Industrial Tribunal had found in favor of the respondent, terming his termination as illegal. It thereby passed an award for his reinstatement on any post equivalent to the post of Tube-well Operator, but he was not granted any back wages. Complying with the orders of the Industrial Tribunal, the respondent was then appointed to the post of fisherman. He however refused to join his duties after repeated reminders. The State then contended before the High Court that he was not entitled to wages for such period, on the principle of "no work no pay". The Court however, rejected this contention and held that the State Government had kept the workman out of job for many years and therefore, the State Government is liable to pay the entire amount due to him. This order was challenged by the State before the Supreme Court. The respondent contended before the apex Court that his termination was bad in law as his services are fully covered within the ambit of the Act, since he has worked for more than 240 days in one calendar year. He also contended that he is liable for back wages as the post of a fisherman is not equivalent to the post of Tube-well Operator. The Supreme Court upheld the High Court's order and directed the State to pay the entire amount due to the respondent, "as the State has kept the workman out of job for many years arbitrarily and unreasonably despite the Award of reinstatement of the respondent on an equivalent post which was passed by the Industrial Tribunal." The Court first established and supported the contention that the Department of Fisheries is covered under the definition of "Industry" as defined under Section 2(k) of the Act and hence, the matter of termination of the services of the workman of the said department can be legally adjudicated by the Industrial Tribunal. The Court accepted the reasons as stated by the respondent to not join the department as a fisherman, the post not being equivalent to the post of a tube-well operator. 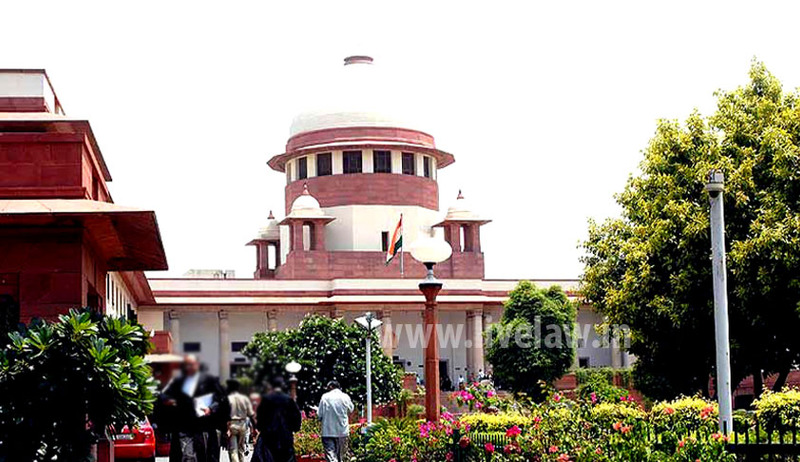 The Supreme Court hence utilized its power under Order XLI Rule 33 of the Civil Procedure Code, 1908, to award back wages to the respondent, even though the respondent had not filed a separate Writ Petition questioning that portion of the Award wherein no back wages were awarded to him by the Court for the relevant period. The Bench held that the Industrial Tribunal had erred in not providing back wages to the respondent, even when it is found that the order of termination is void ab initio in law for non-compliance of the mandatory provisions under Section 6-N of the Act. It also considered that the period of termination was in the year 1975 and has been "unnecessarily litigated by the employer by contesting the matter before the Industrial Tribunal as well as the High Court and this Court for more than 40 years". It hence relied on Olga Tellis case, to highlight the hardship meted out to the respondent and his family members and ordered payment of 50% back wages in favor of the respondent from the date of the termination order in 1975 till the date of the Award passed by the Industrial Tribunal in 1997. It further upheld the order of the High Court for payment of full back wages for the period 24.02.1997 to 31.01.2005. The State was directed to compute the full back wages on the basis of the revised pay-scale and pay him all other monetary benefits as well.